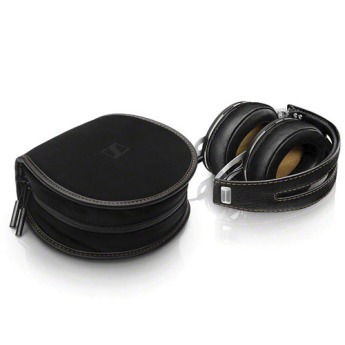 Box Dimensions (LxWxH) 9.055 x 7.559 x 3.858"
The Sennheiser Momentum 2.0 offers more spacious and softer earcups, making it a more comfortable headphone. 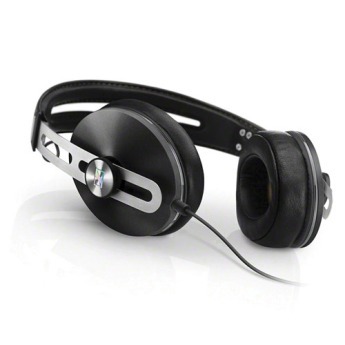 It offers excellent, refined sound, high-end build quality, and a new folding design. Somewhat pricey; should include cables for both iOS and Android devices in the box. If you've stepped into an audio store of any kind, or the headphone section of a big box store, you know the name Sennheiser. 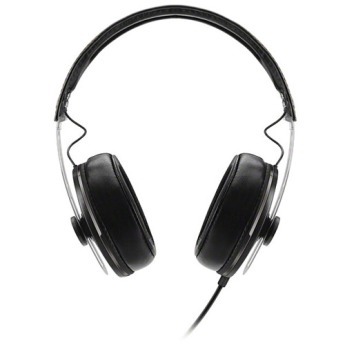 The first "real" headphones I bought were Sennheisers. I used them until the pleather on the cups cracked and started sticking to my ears (they were on-ears). With beautiful tonal balance and sound that feels like balm to the ear canals, Sennheiser Momentum is one of the most open closed headphones we have heard. Sennheiser’s Momentum mantra is “the symphony of perfection” and “the pursuit of perfect sound”. It would be a stretch to consider them “perfect,” but that’s ok – they’re not targeted at audiophiles, necessarily. As I mentioned earlier in this review, I have tried out and owned a lot of different headphones and earphones over the years. I'm not a full-on audiophile, but I do love good, clean sound. I'd much rather have accurate and well-balanced sound than brain shaking bass. Not that bass is a bad thing. 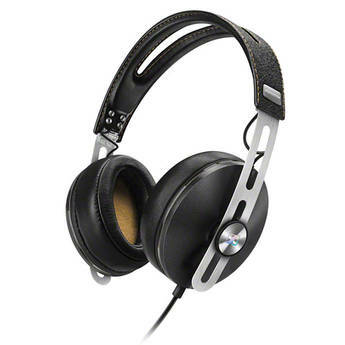 Sennheiser’s on- and over-ear Momentum models have been highly praised for successfully combining form and function, bringing Sennheiser audio performance to the style-focused headphone segment. The Sennheiser Momentum on-ear headphones are accurate in delivering sound quality but it’s not designed for long periods of usage. With a price tag of $230, it failed to live up to my expectations. The Sennheiser Momentum In-Ears are a fabulous listen to at this price. They’re not up to the level of more expensive, multi-driver models – the slightly toned down mids see to that – but if you like your bass full and juicy, you’re not going to be disappointed if you choose to splash out. The Momentum is such a perfect name for this headphone. 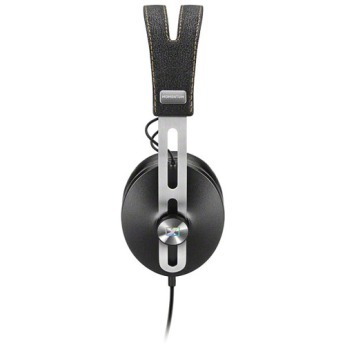 As Sennheiser’s first consumer oriented upper tier headphone it has done just about everything right and I’m sure it is the first of many headphones Sennheiser makes primarily targeted at the mainstream consumer. Hey all! Today, I'm taking yet another step into my favourite headphone manufacturers catalog, Sennheiser! This time, I went to a slightly higher margin from my usual's and took a mid-high range set for a go, the Sennheiser Momentum in-ears. Clearly defined sound stage over all frequencies, well rounded bass without overtaking the rest of the track. Mids rounded back, highs are a little too forward. Great pair of phones, I can say that if I ever get a pair of over ear headphones it would probably be from this brand. I have never heard someone say that they don't trust sennheiser in person, and I can now see why. 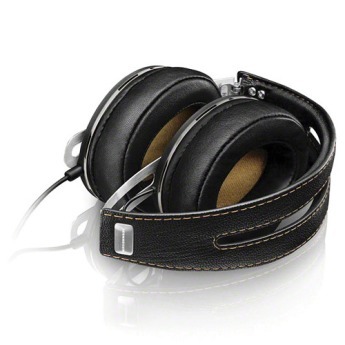 These are some great headphones, for $100 I wouldn't have bought any other pair. They don't have a perfectly flat sound like some people may prefer, but for my taste in music its great. Not necessarily a con, but its not worth the time to put the headphones back in the case, I only use the case for traveling. Buttons don't work how they should on HTC 816, but that was to be expected. First off, I like the way these headphones look. They’re classy but not flashy. It has a nice headband stitching and a nice consistent design. The headband has a metal piece that runs all the way through. It has a decent enough clamp to stay on your head but doesn’t create too much pressure. Definitely not worth the price in any shape or form. The sound these earphones produce is lacking midrange and they're also very bass heavy. The highs are shrill and crunchy, they are a little harsh to listen to let alone recommend. I bought these to replace a set of Beyer IE phones which had been accidentally dropped in water and (not surprisingly!) ceased functioning. The quality of construction is up to the usual Sennheiser standard and the cables are tangle free which is an improvement on the Beyer phones. Amazing sound from these earphones and they really isolate against external noise so they are perfect for travel / office or anywhere you would want to plug in a concentrate. Unlike other earphones from Sennheiser, the cables didn't create a noise when walking or running.